OneWorld Now! was founded in Seattle, Washington in 2002. At that time, we launched a pilot program at Ingraham High School in north Seattle with just 12 students. Since then, OWN expanded to include students from every high school in the Seattle Public School District, working with over 150 students each year. Spends at least one year preparing youth by providing language and leadership training to ensure their success abroad. Focuses on providing access to study abroad opportunities to mostly low-income youth and students of color. 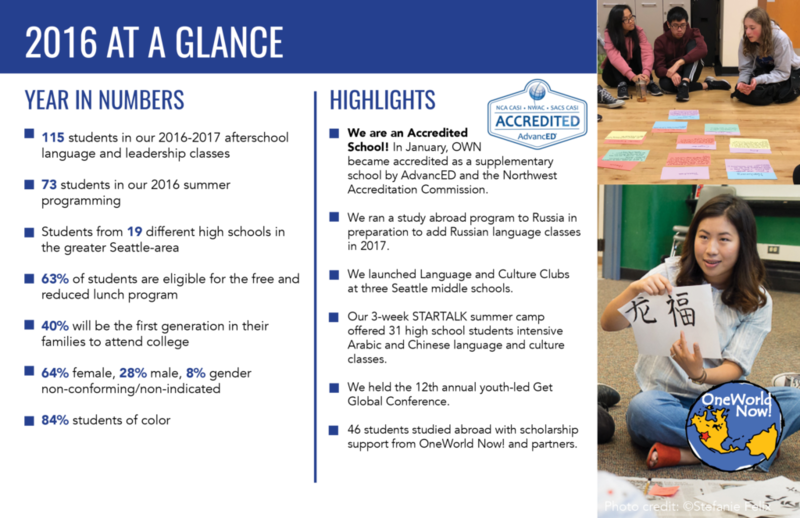 Teaches Arabic, Chinese, Korean, and Russian, three strategically important languages that are not typically offered in American public schools. Offers an integrated and holistic program of language, leadership, and study abroad to high school students. Highlights from 15 Years of OneWorld Now! OWN has served 1,800 youth directly in our yearlong program, while engaging over 3,500 youth through various program elements. Over 98% of graduates enrolled in college, with most being the first generation in their family to attend college. At least 98% of OWN students have graduated from high school. Our unique leadership curriculum builds the social and emotional skills recognized as predictors of educational and professional success. 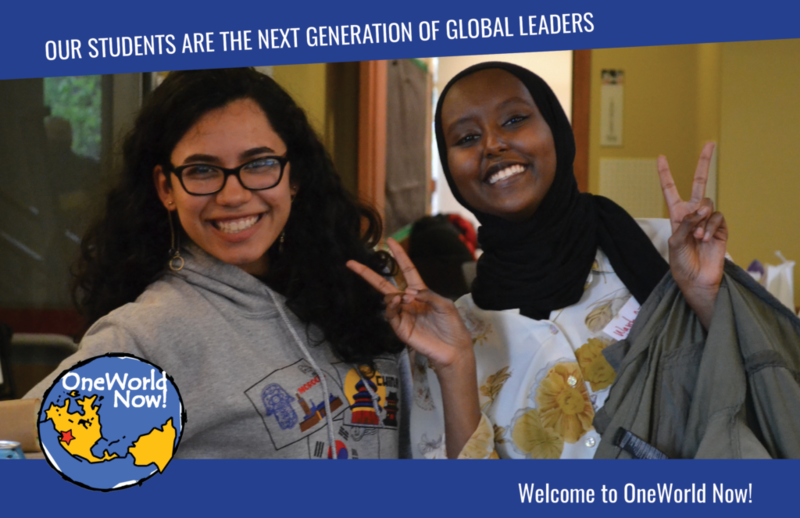 OWN is the only program offering world language credit to students in Seattle Public Schools studying Arabic, Korean, and Russian. Alumni and students show the profound impact that international education can have on the life trajectories of underserved youth. Our alumni have received scholarships & appointments with: Gilman Program, Rangel Fellowship, Fulbright, US Department of State & more. OWN has leveraged nearly $2 million in scholarship funding to support low-income students to study abroad.